This is the Liverpool Training Kit shop at Soccer Box. Here you can get all the latest official team training kits. In the Liverpool store you can shop for training shirts, jackets, sweat tops, t-shirts and more. We have kids and adult sizes available. Kit yourself out in the latest team wear and show your support for the mighty Liverpool. New Balance is the manufacturer of the team’s football kits as well as the official Liverpool training kit range. They are becoming reputed as a supplier of top quality soccer kits with inspirational and graphically stunning designs. The training kit is designed using the color schemes and themes that are produced within the match day shirts. 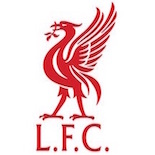 Shop now for the New Balance Liverpool FC training Wear at Soccer Box! New Balance has been manufacturing the Liverpool kits since 2012. Prior to this Adidas was the team’s kit supplier. New Balance is an American company, a subsidiary of New Balance. They have recently broken into the market of supplying kits. Their biggest deal to date is with Liverpool football club, and is worth around £25m per year. The initial contract is for 6 years. The football shirts and training kit that have been launched so far have been fantastic, and are popular with both the club and supporters. As a sportswear manufacturer New Balance has incorporated their unique War-tech technology into the design of their football and training kits. Each of the products within the training kit collection is designed for professional use. The Liverpool players will wear products from the training kit range for all their training sessions, pre-match warm ups, travelling between games and interviews. You can support the team by wearing the Liverpool fc training kit. If you play soccer, other sports or use the gym items from the collection would be the perfect addition to your sports bag. The NBDry fabric is designed to draw excess moisture from the skin, mesh panels improve airflow and breathability, allowing the skins natural cooling mechanisms to work more efficiently. This technology helps keep your favorite Liverpool players feeling cool and comfortable. You can feel the same by wearing the official training kit every time you play football or visit the gym. At Soccer Box we stock an extensive range of the training kit for most teams. We also have the home and away kits available in our Liverpool shop. Many of the training kit products are perfect for wearing alongside your shirt at the match. As well as clothing you can shop for a fantastic range of Liverpool baby clothes and accessories. At Soccer Box you are sure to find Liverpool merchandise for the whole family. Soccer Box is a 1-stop store for all the latest, official team merchandise. Liverpool is one of the most successful Premier League clubs; you can show your support for the team by wearing the shirt, training kit or a scarf. Join the masses and show your support for one of the best clubs in the world. Shop at Soccer Box now and order your Liverpool training kit and other merchandise while supplies last!